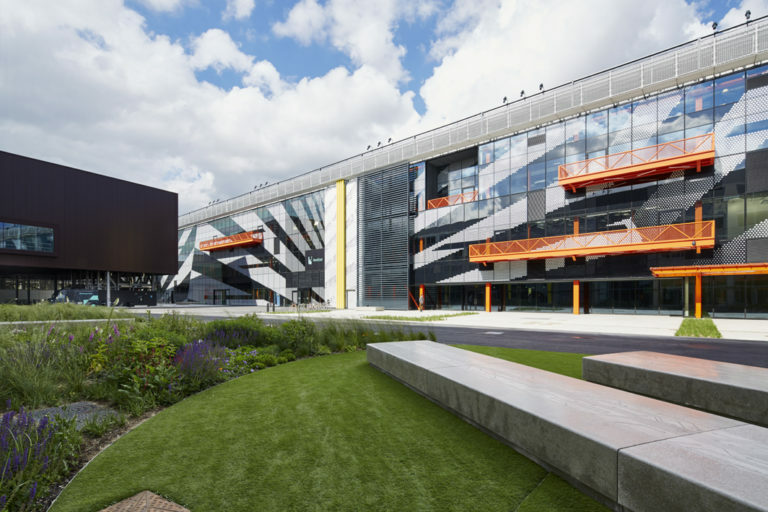 Based in the former Olympic Press and Broadcast Centre, in the heart of The Queen Elizabeth Olympic Park Stratford, Here East seeks to build upon the legacy of the Olympic games and in its short history has already developed a reputation as a leading cultural hub in London’s East End. Taking the form of a ‘campus’ and with Loughborough University London now on site, Here East is home to creative business (both global and start up) and is a place for education, learning and cultural events. Here East includes shared workspaces and public areas to foster a tight community, alongside a shared yard with space for discussion and events, a landscaped canal side and artisan cafes, shops and restaurants. Positioned between the Lee Canal and The Yard, The Press Centre houses 195,200 sq ft of exhibition space. Fast developing as a centre for cultural activities, the newly transformed Press Centre hosts a large variety of events, exhibitions and conferences from around the world.